Who missed Kula Shaker when they closed shop in 1999? But I must admit that their second album since the reunion seven years later surprise me in a good way. 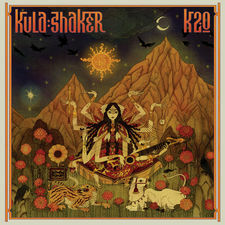 Kula Shaker thing has always been some kitschy elements of Indian instrumentation, and of course you get a part of their trademark on this CD as well, but there are also a bit of Charlatans and Primal Scream influences. For me Kula Shaker are best when they becomes more acoustic, down and folky like in "Ophelia", "Only Love", "Cavalry", "Ruby" and "Modern Blues" which sounds like a singersongwriter-song in a Britpop-costume.